Dutch cigars from the Netherlands have been an incredibly popular high-quality cigar make since the 18th century. Made exclusively from the finest produce of the Sumatra and Java plantations, Dutch cigars are the perfect complement to any smoker’s collection. As the Dutch government handed over the manufacturing of cigars to the private sector some time ago, superior quality tobacco can now be procured via specialised production techniques using unique extraction technologies and expertise. In store, James J. Fox stocks a variety of Dutch cigars from some of the most renowned brands. The selection that James J. Fox make available all effuse an impressive rich aroma, as well as a full-bodied and balanced taste. The long-lasting slow burn associated with Dutch cigars can yield up to sixty minutes of smoking time (depending on the product) for you to enjoy and savour the taste. Depending on the cigar type you are looking for, there are a range of diameters and lengths to choose from, all of which are unique and distinctive from one another with regards to personal taste and smoking time. From small and tapered Dutch cigars, which are extremely popular amongst the youth as a result of their streamlined designs, light draw and deep taste cigars for those with sophisticated palates, to longer and larger slow burners – ideal for a post-meal smoke – there’s something for everyone to savour when you come and browse our in-store range. The experts at James J. Fox are also well-equipped with practical experience and knowledge, and are on-hand to assist in finding the perfect cigar type for you. You can even try out a cigar variety of your choice on our premises. With three London stores in Harrods, Selfridges and on St. James Street at present, and with well over 200 years of experience, James J. Fox is your number one reliable and trustworthy source for all your cigar requirements. Whether you’re searching for our premium Dutch cigars, or any other world renowned cigar, we will always endeavour to cater to your individual requirements.  If you have any questions about our Dutch cigar range, or have any other queries you may wish to raise with us, you can get in touch today either by telephone, fax, email or by sending the James J. Fox team an online message. We look forward to serving you in the very near future.